How to select the best recommendation boxes settings to start with? During your installation process, you will see a list of the default recommendation boxes we have applied to your store upon installation. Simply select the preview button to be redirected to the 'Preview' page of your store. 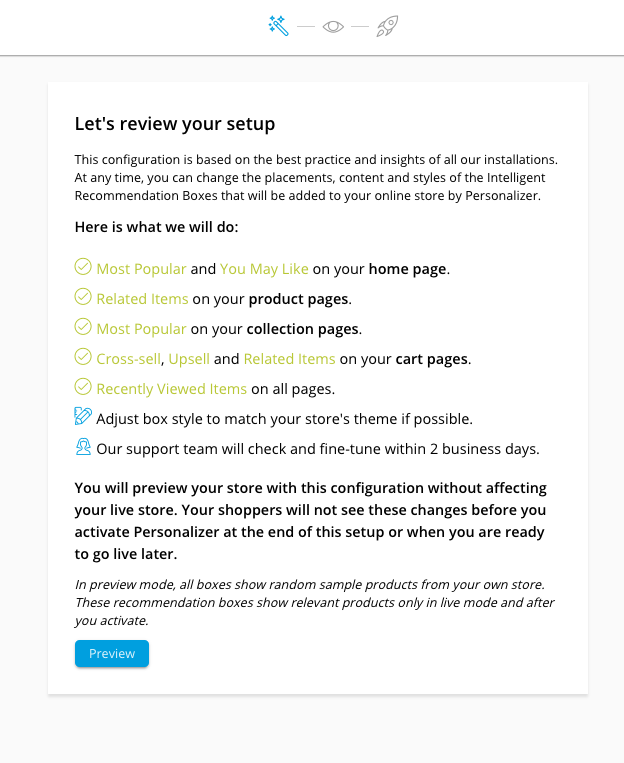 We suggest our customers to have at least 2 recommendation boxes per page to maximize the functionality of LimeSpot Personalizer on their store. Tip: You can also view our best practices article here.